Fasten your seat belts because not since the great home run race of 1998 will there be as much buzz around baseball as it will be this year. 2011 could very well be the year that Major League Baseball sees its first Triple Crown winner since 1967. Two players most poised to accomplish this extra ordinary feat are Miguel Cabrera of the Detroit Tigers in the American League, and Albert Pujols of the St. Louis Carinals in the National League. Since the turn of the last century there have been only 13 Triple Crown winners. From 1901 to 1967 no more than 13 years have ever passed between Triple Crown Winners. In 1933 major league baseball got a treat when it produced a winner from both leagues (which is the only time that it had happened before or since). To top it off both players played in the same city, Philadelphia. Jimmy Foxx of the Athletics in the American League, and Chuck Klien of the Phillies in the National League. Foxx posted a .356 batting ave., 48 home runs, and 163 RBI, While Klien lead his league with a .368 batting ave, 28 home runs, and 120 RBI. 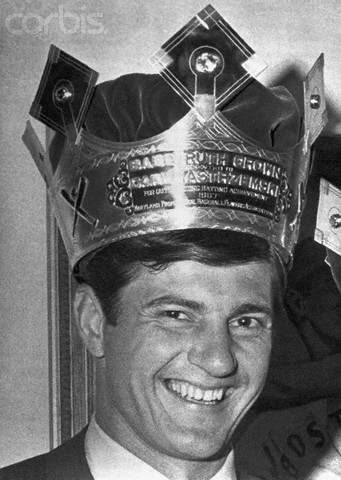 The last to perform the feat of posting the most home runs, rbi (runs batted in), and batting average for their respected league in a season was in 1967 when Boston Red Sox outfielder Carl Yastrzemski led the American League with a .326 batting average , 44 home runs, and 121 RBI. This year Cabrera and Pujols are prime candidates, both have a legitimate shot at the crown. Last season only career years by Josh Hamilton of the Texas Rangers, and Toronto’s Jose Bautisa got in the way of Motown’s superstar, Cabrera. While Pujols who is always right there with RBI and home run numbers, it will be his batting average that will make or break his run for the “Crown.” With a possibility of Lance Berkman hitting in front of Albert and Matt Holiday hitting behind, it may have the makings to put together the average Pujols needs. On the other hand Albert is also going into this season unable to solidify his “Cardinal for Life” contract which would stand to make him the highest paid player in baseball, that in itself may be a distraction as the season unfolds. All and all this season is prime for something that baseball fans haven’t experienced in over a quarter of a century, a Triple Crown winner. Whether it’s a perennial superstar, or some unknown who catches lightning in a bottle for the 2011 campaign, it will definitely give the fan a magical summer to remember. This entry was posted in sports and tagged Albert Pujols, Major League Baseball, Miguel Cabrera, triple crown. Bookmark the permalink. Won’t Craig Counsell be in the running this season?